True leaders inspire us with their confidence, dedication, and track record of achievement--but does their success arise from innate gifts, or qualities that we all can develop? 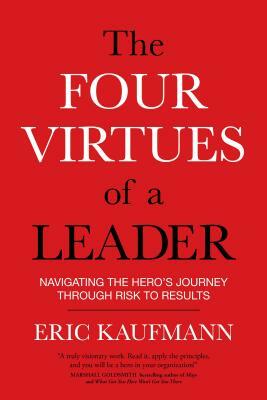 "Each of us, no matter what our title or job, can become an effective leader by cultivating the same essential attributes found in the classic hero's journey," says Eric Kaufmann. With The Four Virtues of a Leader, this top executive coach presents a must-read guide to help you awaken and amplify the fundamental competencies that every successful leader embodies. - Four key questions to keep you on track: What am I creating? What am I avoiding? What am I sustaining? What am I yielding? "The hero's journey challenges you to leave your comfort zone and become a different person--and a better leader," writes Eric Kaufmann. With The Four Virtues of a Leader, he invites you to embark upon a time-honored path of personal evolution to become the inspirational leader you were meant to be. Eric KaufmannEric Kaufmann guides leaders to make better decisions and achieve better results. He has consulted for hundreds of leaders, including executives and teams at Sony, T-Mobile, Genentech, Alcon Labs, and Teradata. He is the founder and president of Sagatica, Inc. and serves on the board of the San Diego Zen Center. For more, visit sagatica.com.